During the last four years, I have encountered some Catholics who declare themselves in favor of St. John Paul II and Benedict XVI, and oppose Pope Francis. I have encountered others who declare themselves in favor of Pope Francis, but not his predecessors. I believe that both groups are in error, assuming that their preferences are true and the Pope who seems to be in accord with them is considered right. In defending the authority of the Church over the ten years this blog has been around, my stance has been that to reject a teaching of a Pope is an act of dissent and to reject that Pope in entirety is an act of schism. If a person demands Catholics give assent to a Pope they agree with, while refusing to give assent to a Pope they dislike is to play the hypocrite. The Pope they like teaches with the same authority as the Pope they dislike. Because I recognize that the Catholic Church is the Church established by Christ (Matthew 16:18), and recognize the Popes as the successors of Peter, I hold that to reject the legitimate authority of the Pope is to reject Our Lord (Luke 10:16). No, this doesn’t mean everything that comes forth from the mouth of the Pope is doctrine. The Pope does not intend to offer teaching binding the entire Church when he gives homilies, addresses, interviews or press conferences. Because of that, he can state things imprecisely. A Pope can pass laws governing Vatican City (or prior to that, the Papal States) that are aimed at governing a specific territory. These are not understood as Church teaching either. Bishop Fulton J. Sheen once used the example of hypothetically asking the Pope about a stock investment. The Pope is not teaching in this example either. The above (and the label of Ultramontanism) are red herrings. No informed Catholic considers those things teaching, let alone infallible. But, it does not follow from the fact that it doesn’t fall under the aegis of teaching that it is heresy when it sounds different to our way of thinking. To invoke these things, done by the handful of bad Popes we had in our history, to accuse a Pope of teaching “error” is to miss the point of history in order to slander a disliked Pope today. The Popes can teach through the Ordinary Magisterium, which is the norm, or the Extraordinary Magisterium, which is rarely used. Many Catholics seem to think that the Pope only need to be heeded when he makes an ex cathedra proclamation, and can be safely ignored on other occasions. That view is dangerously misguided. Pope Pius IX Syllabus of Errors (#22) and Pope Pius XII in Humani Generis (#20) reject that view. Everything that was taught ex cathedra was previously taught in the ordinary magisterium. It was not a case of being an opinion prior to being defined. Ex Cathedra does not turn opinion into truth. It defines truth, confirming what was already taught. Nor should we think assume from the fact that the Church can revise and reform a teaching or discipline to better address a certain age, that these elements “prove” error. Conditions in the times of Pagan Rome, the Dark Ages, the Medieval period, the Renaissance, or modern times are not the same and how the Church responds to the needs of that age can change without denying the Catholic Faith. A Pope can make a discipline stricter or roll it back as the need requires without contradicting his predecessors. So, with the controversy on the divorced/remarried and the Eucharist, it is possible that whoever succeeds Pope Francis will make clarifications as to how his teaching will be applied. For those who interpreted Amoris Lætitia with laxity, such a clarification will probably seem like a “betrayal.” For those who disliked what they thought AL advocated, such a clarification will probably seem like a “repudiation” of Pope Francis. But it will be neither. It will be an application of Church teaching for the current times. We must remember that how we interpret Scripture or Church documents is not the same thing as Scripture and Church documents in themselves. It is easy for the individual, lacking all the information needed to put things in context, to misinterpret Church teaching and assume that misinterpretation is what the Church in past ages meant. 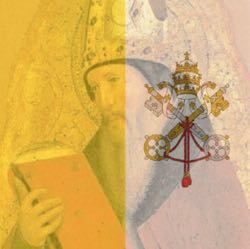 We must make our interpretation of Scripture, a Pope, or a Council in line with how the Magisterium interprets it, not by judging the Magisterium by how we interpret it. What I fight for is not the “right” of the divorced and remarried to receive the Eucharist. It is not for “conservative” views on moral issues or “liberal” views on social justice. What I fight for is defending that the Church can teach the faithful the timeless truths as they need to be formulated for the needs of saving society in this age. This means rejecting those who try to turn this teaching into factional politics and labeling theological orthodoxy as political based on approval or disapproval. This fight necessarily puts me at odds with the Catholic who claims to support Benedict, but not Francis, and the Catholic who claims to support Francis, but not Benedict. It likewise puts me at odds with the Catholics who put Trent and Vatican II at odds. I fight to defend the Church as she teaches in all generations, from the time Our Lord established her to the present, and trusting Our Lord to continue to protect His Church in the future. Because of that, I must reject those arguments—intended or not—which deny that protection exists, and that we can ignore Church teaching by claiming it errs when it suits us to do so.